1. Learn more about the environment. 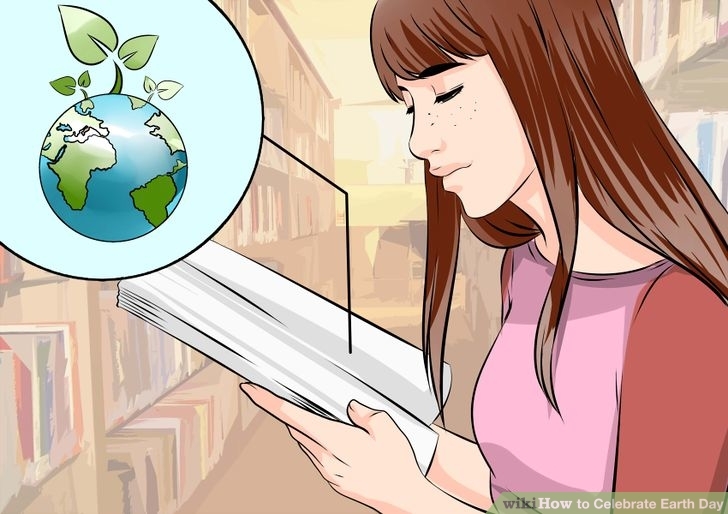 When was the last time you read an article about how you can help the environment? Earth Day is a great reminder to take some time to learn more about the world around you. There’s always different issues arising in a changing environment like our planet and the best way to tackle these problems is to stay informed. Read up on the issues happening in your own backyard – learning more about the situation your community is facing is a great way to get involved and make a lasting impact. Learn about fracking, which is affecting many communities in the United States. Understand more about how climate change works and what you can do to prevent it. 2. Plant a Tree. As the date of Earth Day roughly coincides with U.S. Arbor Day, planting trees is a popular Earth Day activity. Trees helps to reduce greenhouse gas emissions, clean pollution, secure soil in place to prevent erosion, and provide homes for many birds, insects and other animals. There's almost no more important, long-lasting act you can do to celebrate Earth Day. Pick a tree that you know can survive in your climate. If you're unsure about what that might be, ask an employee at your local garden shop. 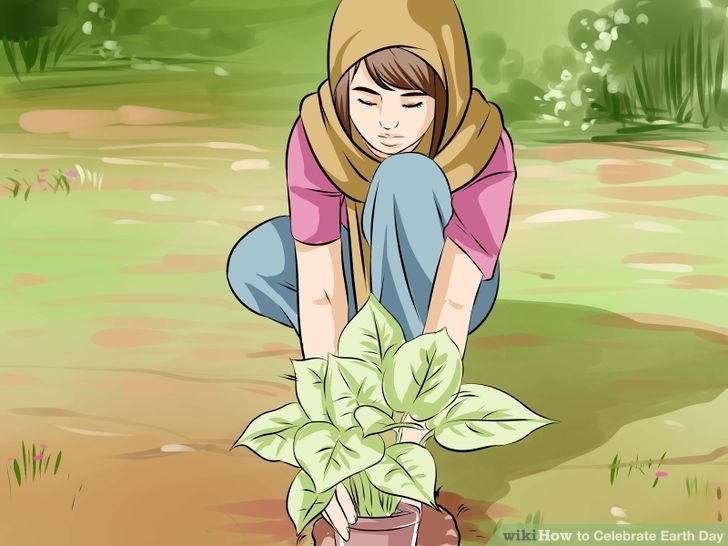 Arbor Day Foundation has a lot of tips including full instructions on planting and caring for trees. 3. Invite your friends and family over for a special Earth Day meal. Cooking with organic and sustainable fruits and vegetables are a great way to celebrate the earth. If you would like to cook with meat look for locally produced organic meat. Try to only cook with organic food. 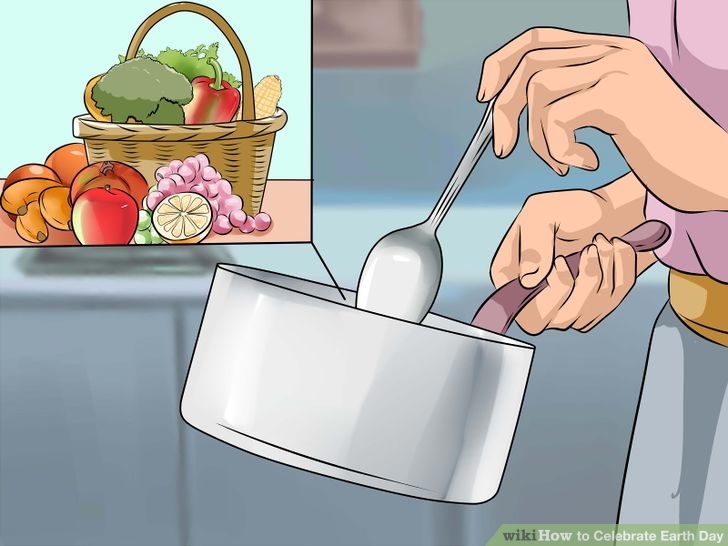 This also a great way to start eating healthier – learning how to cook mostly vegetarian meals is better for you and the environment. When you clean up after the meal use a low-water dishwashing method. 4. Clean up litter in your neighborhood. This can be a wonderful community project for local groups to get involved in. Many people use the weekend of Earth Day to clear roadways and parks of debris since the last clean-up day. 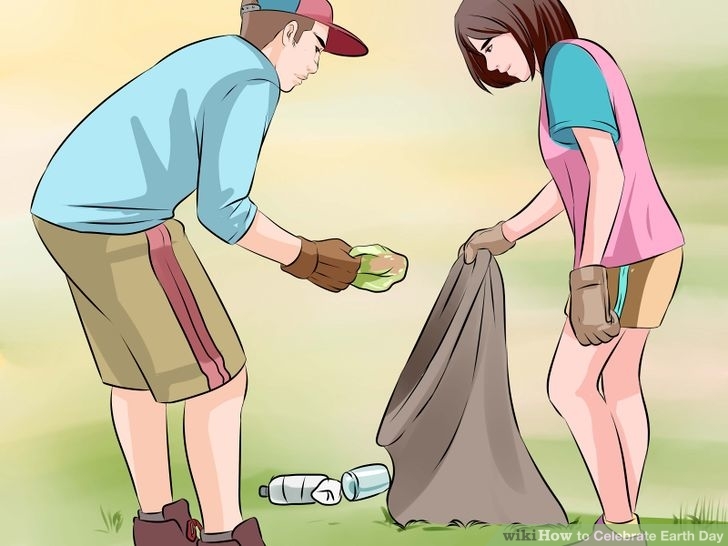 Once the group has collected the trash and placed the recycled bags along the road, get the village public works department to pick the bags up. Get to know the environmentally conscious locals in your area and plan a clean-up day once a month – Earth Day is a great reminder of things we should be doing throughout the year. Learn more about The Effects of Improper Garbage Disposal. 5. Spread the word about Earth Day. Everyone has environmental knowledge about their community. Taking the time to talk with friends, students and colleagues about the issues that mean the most to you can make a big impact. Visit a recycling center with children and friends to learn more about how it works. Wear green and brown and when people ask you why you’re dressed as a tree use it as an opportunity to talk about Earth Day. Talk with your local library about giving a speech to learn how to compost with worms. or visit Green Tips to Reduce your Carbon Footprint both at home and at work.